They're all together. PPD - here comes the ice blast, ready for the dunk in from Universe, it's a disastah! CDEC, they're going to get wiped from the face of the earth -except for Aggresif, he'll jump out. But the wombo combo perfectly hits from Evil Geniuses and they will take Roshan. What's a Dota viewing party without Dota consumables? On the menu, we had all your basic starting items: wards, clarities, salves, tangoes and magic sticks. For those brave enough to conquer Roshan, there was of course cheese! 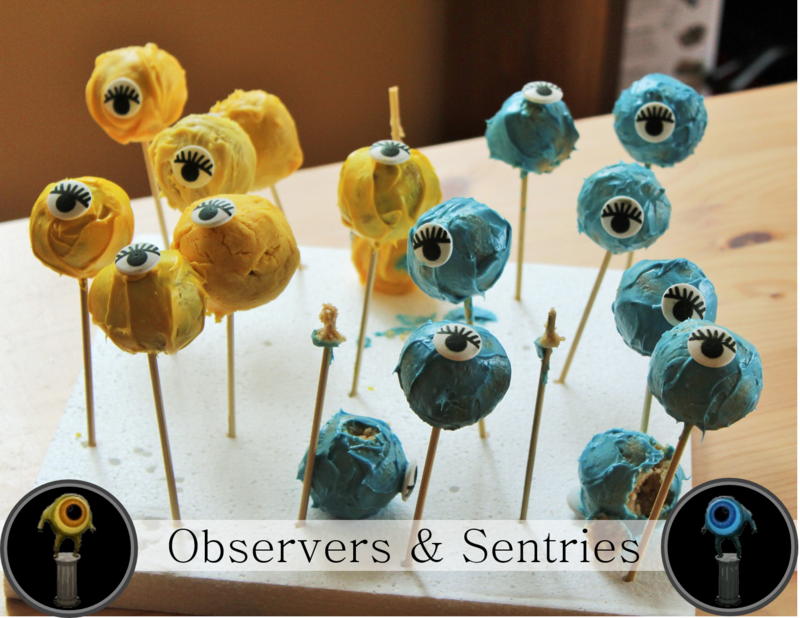 Observer & Sentry Ward Cake Pops: We made blue and yellow cake pops and stuck on these candy eyes. I'd love to share a recipe with you, but this took an entire evening and largely ended up a (delicious) failure (see the number of "dewarded" observers and sentries above). I can't in good conscience share such a messy and finicky recipe. 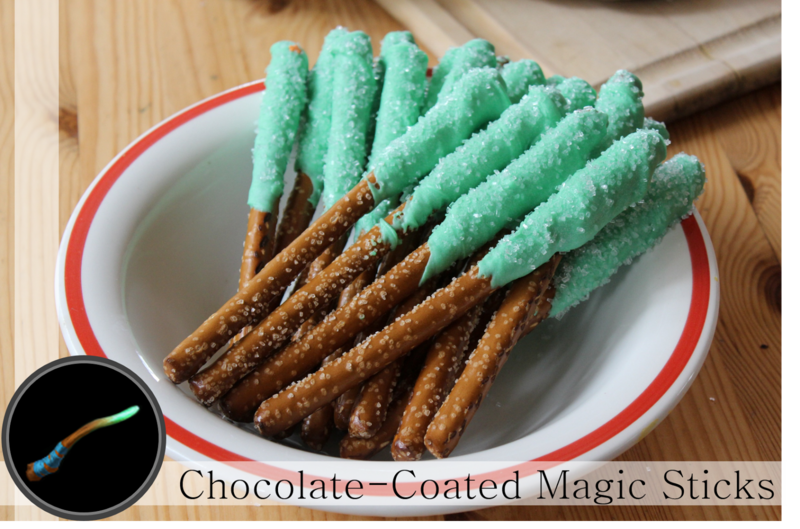 Chocolate-coated pretzel magic sticks: This snack came together surprisingly easily and I love the way it looks! Get the recipe here. 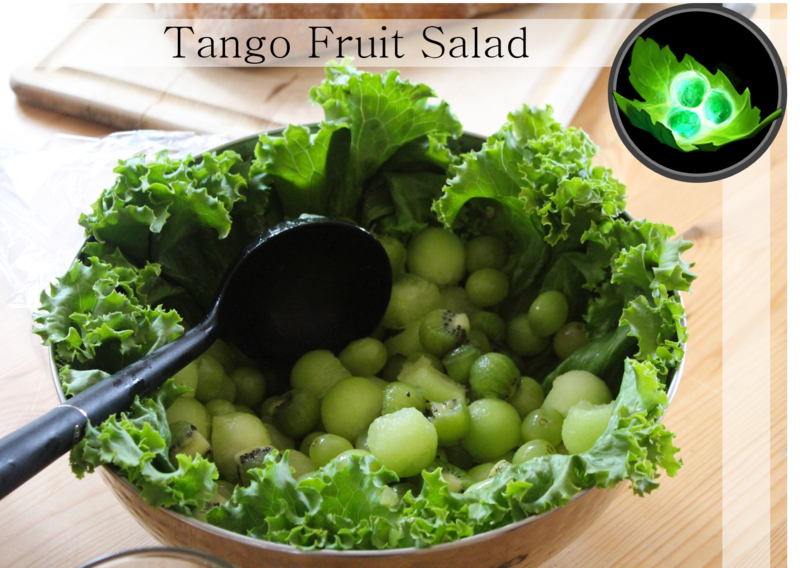 Tango Fruit Salad: Another easy and tasty Dota snack, made from grapes, melon & kiwi. Get the recipe here. 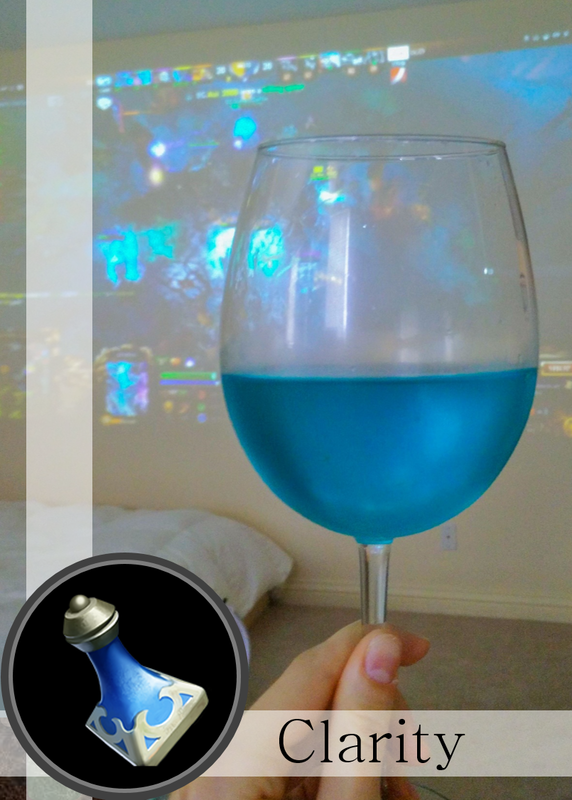 Clarity Sangria: blue curacao gives white wine that clarity hue. Get the recipe here. 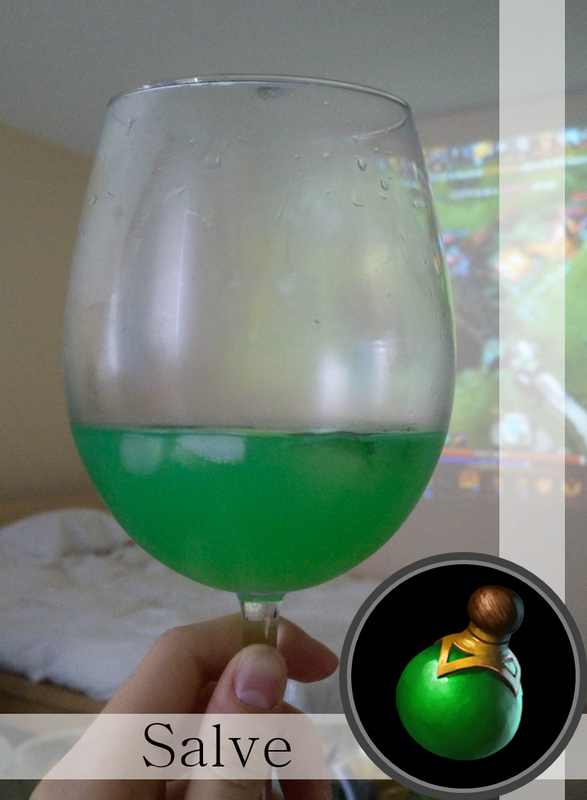 Salve Lemonade: Your favorite lemonade or limeade becomes a dota 2 healing potion with the addition of green food coloring. Feel free to spike if you want to, but we chose to have some thematic non-alcoholic options. 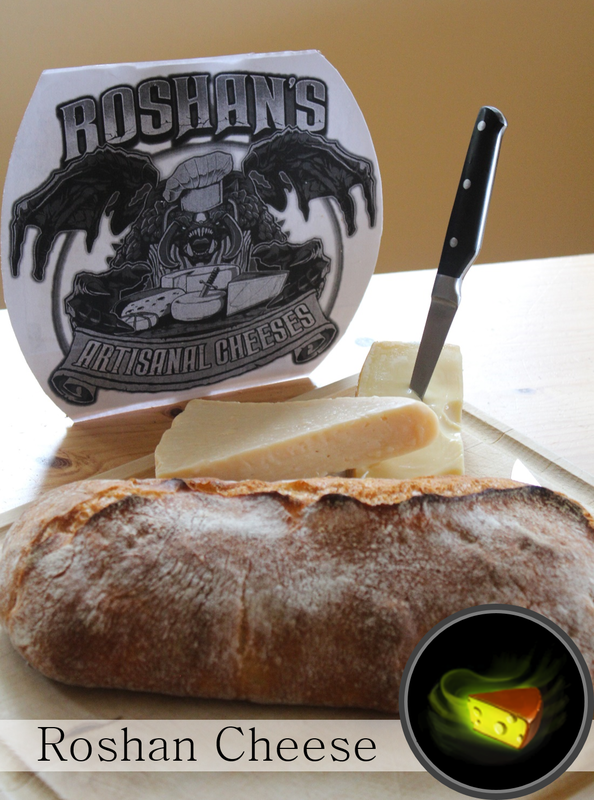 Roshan's Cheese: We did one milder and one sharper cheese, selecting cheeses with the appropriate wedge shape. Credit to SoylentPersons for the awesome sign. The food was a lot of fun to put together, and I think my guests appreciated it. My favorites were the magic sticks and the tangos. I posted this over on reddit, and was overwhelmed by the awesome and positive response. I don't post all that often on reddit, and I'd never had such a popular post before, it was a really interesting experience. It was funny having IRL friends come up to me and say "oh, I saw your food on reddit!" Even DotA 2 reddit celebrities commented on the post. I've also seen these photos crop up on a bunch of other eSports websites! Maybe you saw these photos last year - well now you have the recipes. Loved this post? Check out my The International 2016 post!